KEN YUSZKUS/Staff photo. 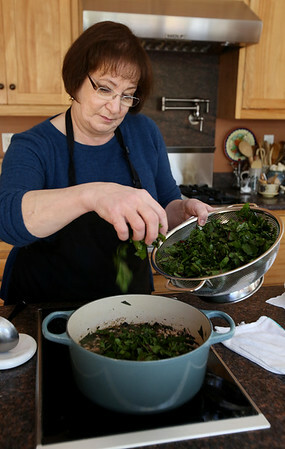 Ana Ortins sprinkles some cut beet greens into her black-Eyed pea soup with beet greens. Her new cookbook just came out. 10/30/15.